Adrian Davila, son of family patriarch Edward, is entering the food truck business. The Eagle Ford Shale oil boom in south Texas is going to be his focus…for now. Every major magazine has seemingly been down to Kenedy in the past year to document the oil boom and the resultant problems the community is facing. Housing and food prices have shot up as rough necks from all over North America have been brought in to work in the suddenly hot petroleum industry. Prostitutes are doing land office business commanding rates well above what their peers in San Antonio and Austin command. Mobile home rent has tripled and the price of a torta has went through the roof. Businesses are having a hard time staying staffed and restaurant workers who may earn $7.25 per hour in Austin can command double that in the Kenedy area. But then you’d have to live in Kenedy. I have a deep love of Davila’s barbecue. The hot guts belt of Central Texas is famous for the quality of the sausage and the Seguin outfit is as good as any you’ll find. The last plate of brisket I had was as good as any you’d find in Travis County. 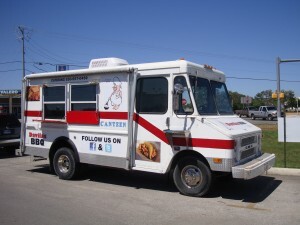 I can think of a spot in Austin that could host Davila’s truck and do big business. The currently empty parking lot where Franklin Barbecue used to sit. Wheel that truck in there and start putting out some top flight brisket and short rib tacos and the French Place neighborhood would go berserk. That’s what drew me in. I’d heard rumor of an ancient barbecue house in Seguin and drove down for further investigation. The rich history of the old joint made me completely mark out but I could give a fig if the food couldn’t back up the cool, old school vibe. This entry was posted in Rural Texas, Texas Barbecue, Texas Barbecue Photos and tagged barbecue, BBQ, best barbecue, Brisket, central Texas hot guts, davila's barbecue, eagle ford shale, food truck, guadalupe county, Pork Ribs, sausage, seguin. Bookmark the permalink.